If you’d like a fun and easy freestyle unit study to do with your children this summer, this is it! Around Independence Day is a great time to learn about the American Revolution, but of course you can study it any time that works into your schedule. 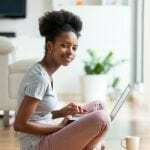 This is so easy (All you need are a few good reads and some ideas and resources.) that it’ll be a snap to put together, and it’ll give you and your children something fun to do this summer to keep learning happening! We have used all of these books in our homeschool, so I feel good about recommending them to you. – This book tells the story from both sides of the Revolution. Hearing from both points of view gives the reader a much better understanding of what happened and why. This is a re-telling of the Revolution in chronological order with natural progression of events. It highlights the main events throughout the Revolution and engages the child’s interest through delightfully artful illustrations and comic-strip-type bits of information. This makes it easy for the reader to understand even if he or she doesn’t yet have much previous knowledge on the topic. It also gives multiple quotes from the key figures on both sides–both well-known and not-so-well-known. It includes many factors related to the Revolution–not just the war itself. – I recommend this as a real-aloud unless your children are older or are very mature. (The book is recommended for children age 12 and over.) It’s a moving story about a family that is torn apart by the war. Tim, the main character, looks up to his brother Sam, who decides to fight for the rebellion. But Tim and Sam’s father is a supporter of the British. This leaves Tim in a position in which he has to choose between his father and his brother. As you can see, this book tackles some difficult subject matter, but it is an excellent book that is well worth reading! Ben and Me: An Astonishing Life of Benjamin Franklin by His Good Mouse Amos – This book is, obviously, a fictionalized story as told by Amos the mouse. Amos is the helper who gave Ben Franklin the ideas and help he needed as he was coming up with his now-famous inventions and as he participated in events that helped lead to America becoming a free country. Very young children may not be able to understand the difference between the real historical events and the made-up parts of the story, so some guidance may be needed for them. This is a truly enjoyable story that helps history become fun and exciting to learn! 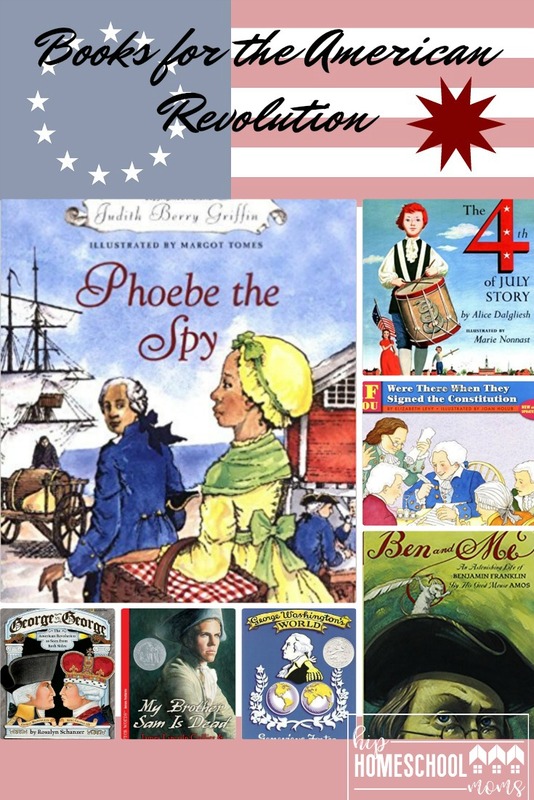 Phoebe the Spy – This short book (only about 48 pages long) is about Phoebe, a young girl who is working as George Washington’s housekeeper, though her real job is that of spying to find out who is plotting to kill George Washington. This is another book that takes a real situation and fictionalizes it, so keep that in mind when reading it with younger children. It’s a well-loved story that makes learning about this time period enjoyable! 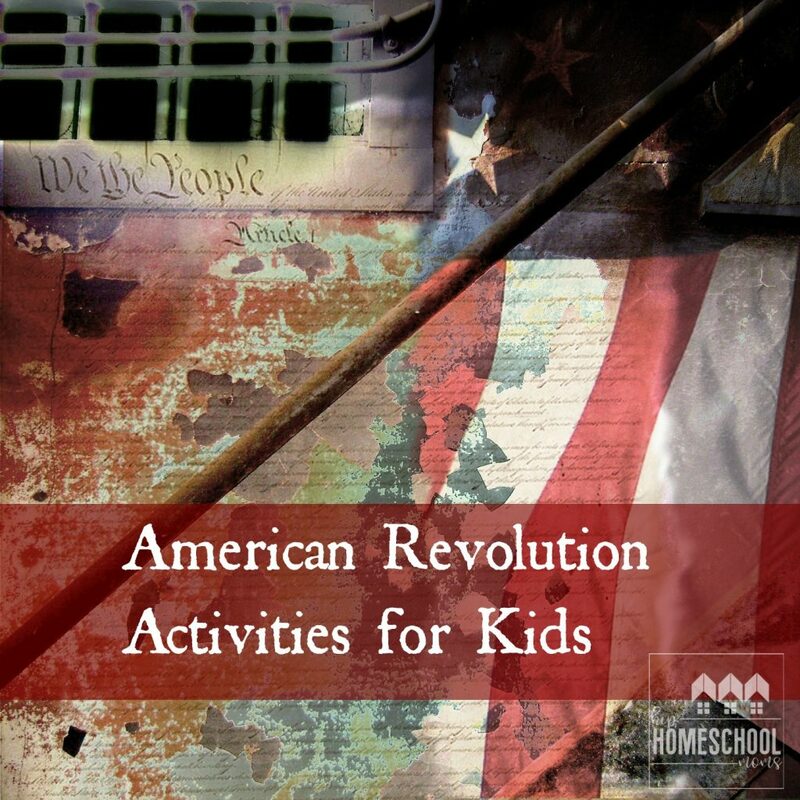 – This book introduces very young readers (from about preschool to about 3rd grade) to the birth of our nation and the first Fourth of July. For a poetry selection, we read Paul Revere’s Ride by Henry Wadsworth Longfellow and talked a bit about narrative verse while reading A Child’s Introduction to Poetry.
. It is a fabulous read! It covers and explains so much in such a simple way. It’s like a mini government class for younger kids. I highly recommend it. George Washington’s World is a great text for 4th grade and up. It deals with Washington’s entire lifespan and the history of the world at that time. The book is much longer than the others I suggested (over 350 pages! ), but it can be used as a full history text for younger middle school. And if you are looking for something to read together (or for a high school student), George Washington’s Rules of Civility would be great during lunch, tea time, or any other time! Not only is it great for discussion, it’s also fun reading the rules and seeing how the English language has changed over time. And I must admit, it’s also amusing to read about some of the things that were considered rude during that time and to think about how our definition of well-mannered differs now from what it was then. For language arts, in addition to the reading, I added copywork quotes for writing practice. 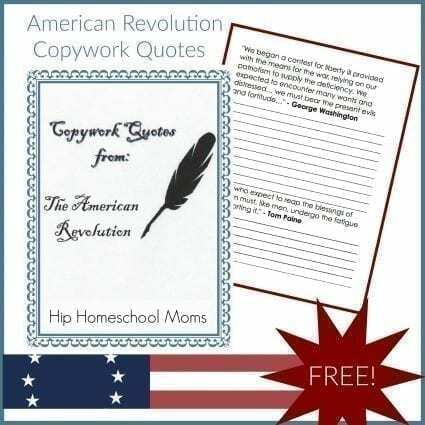 Selecting these quotes from key figures of the American Revolution as copywork added a little more history while practicing writing. It also made for great discussion. “Is life so dear or peace so sweet as to be purchased at the price of chains and slavery? Forbid it, Almighty God. I know not what course the others may take, but as for me, give me liberty or give me death!” ~ Patrick Henry. We were very blessed to have been able to visit the place where Patrick Henry gave this great speech when we were living in Virginia. You can visit the site and read more about St. John’s Church here. 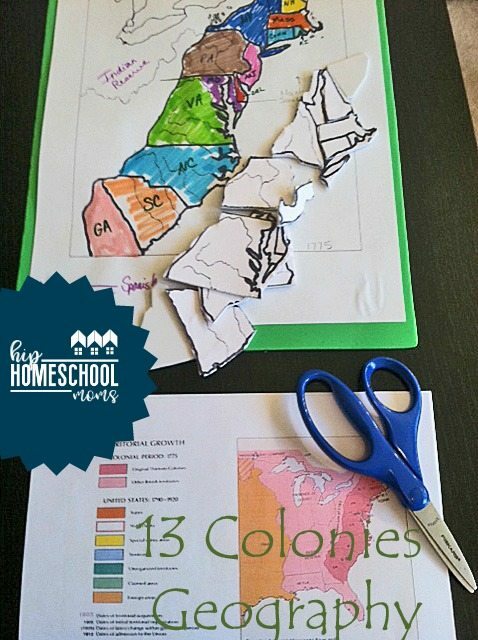 We lived right in the Colonial Triangle: Yorktown, Williamsburg, and Jamestown area. So we learned with hands-on experiences every time we visited these nearby towns. It was a special opportunity to learn first-hand. But even if you are unable to make a trip, you may be surprised that there are places to visit in your own location. If you can’t do a field trip, you might focus on a fun topic such as time period fashion, medical practices of the day, weapons used in the war, and popular foods from the time. Printed 2 maps of the 13 colonies (unlabeled) and a 3rd map that was our answer key. We colored one map to make it easier to see the states’ boundaries, and we labeled each state using the abbreviation for each of the states. Then we pasted each of the maps on a foam sheet. 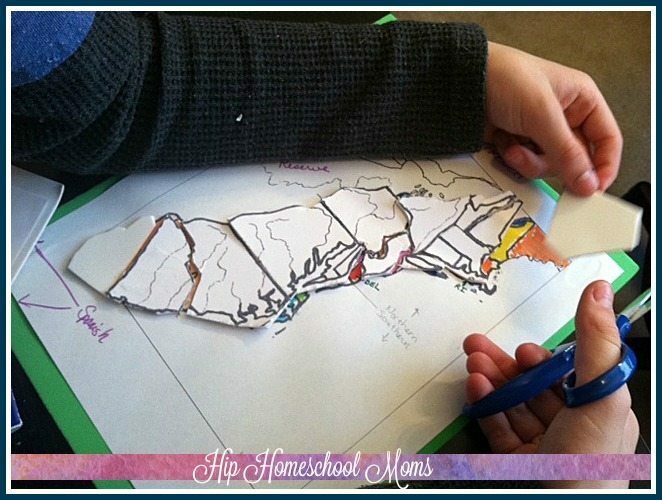 We cut one, the uncolored one, around each state (or colony), and this one we used as a puzzle. We left some of the smaller colonies such as Rhode Island attached to other colonies as one piece to make it much easier to manage and cut. I did still have my son identify each of them, though, as an individual colony. Almost every day I had him put the puzzle together while telling me the name of each colony. and by the end of the unit, he knew them all including which states later became their own…Maine and Vermont and which colonies they were a part of before. At first we used the colored map to aid us, but eventually he could put the blank one together without any help from it. 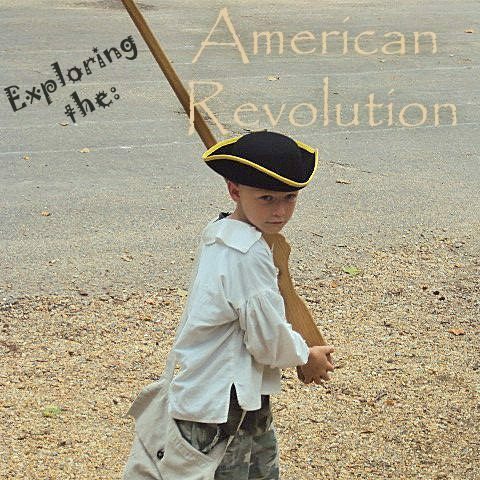 Have you and your children studied the Revolutionary War? Do you have ideas or activities or books to add to our list?